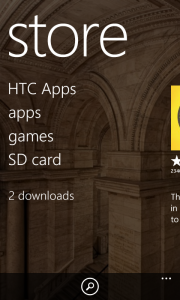 Why there isn't a sd card option in my store menu on htc windows phone 8s? To be exact, you can install app FROM the SD card TO your phone's memory. To install this, you might need to restart your phone, leave it alone for few minutes and check on Store. There will be a SD Card option on Store. And from that, you can install apps to the phone memory. And no, you can't INSTALL app TO SD Card. Let me get your basics clear about this first. Rather than browsing the app from windows app store inside your phone, we are trying to get the direct installation file from app store. We are then going to copy and paste that file (.XAP) in to your phone’s SD card. After installing the microSD card back in to phone, we will install it on SD card itself, including the app’s cache. 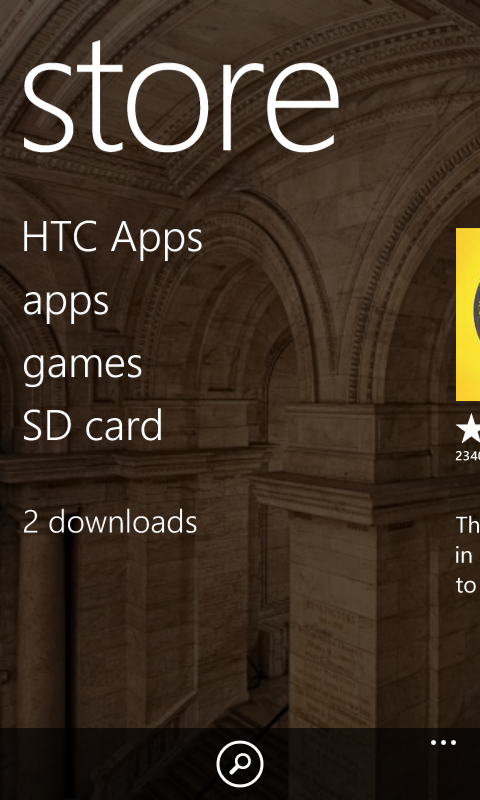 And we can save huge chunk of storage on your Windows Phone. Follow the following tutorial to save your internal storage on Windows Phone device like HTC 8S. 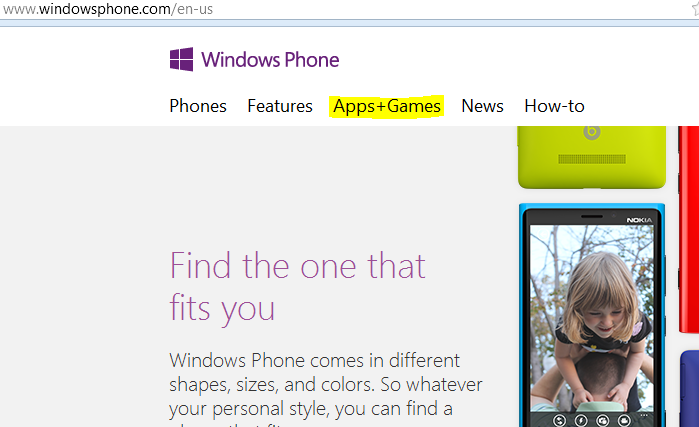 Start your browser, Go to this Web address www.windowsphone.com, Press Enter! 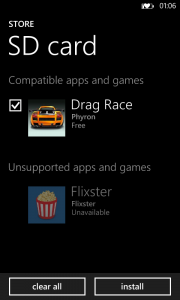 Click on Apps+Games section on this webpage, so you can connect with the online Windows Phone Apps & Game Store. 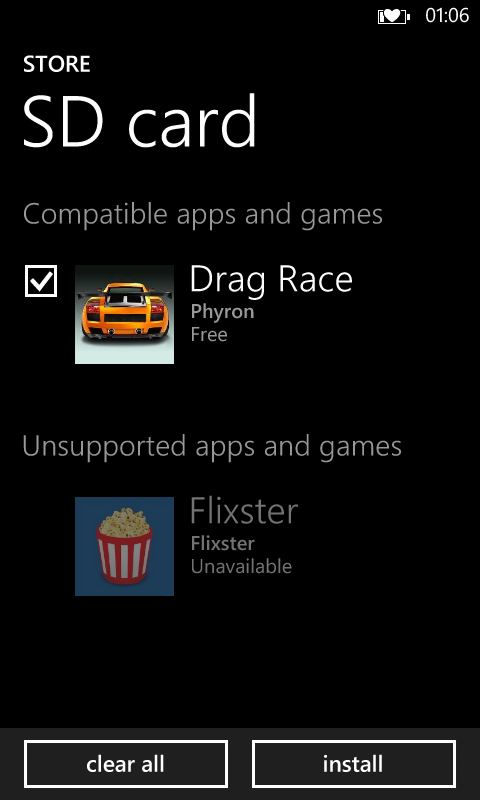 After moving on, you can search for your favorite game or app, that you wish to install on external storage. 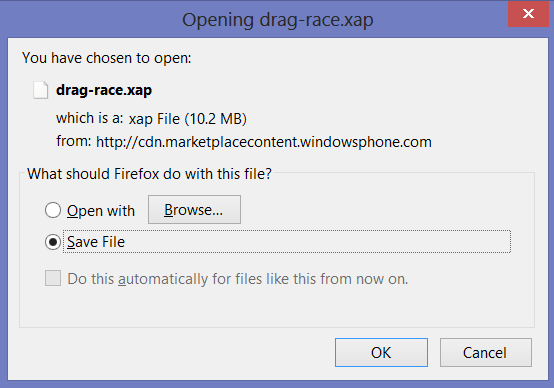 Click that link and get the .XAP file downloaded on your PC. Insert your microSD card in to your PC/Laptop, Copy that .XAP file and put your memory card back in to your Windows Phone. Here you will the apps you have transferred via SD card. Select the app and click on Install. anon(5816156), Behnam McDelijani and Laura Knotek like this. you'll have to wait a few minutes after reboot to see the option. But I think that the .xap files downloaded from store are on my phone's memory even if I've uninstalled the apps!!! How can i delete 'em?? Please Help!!! You can install apps to SD but you don't go to the store, you go to storage sense then scroll to store new aps to my, Then select sd card. Done. Then use storage sense to move all your apps from your phone to SD. Having real storage issues with my 8s.had to delete all my apps, only have 45mb of memory and it wont let me install any apps which is less than this, it keeps telling me i have reached my limit.i have seen a few people talkin about storage sense on ther app list but i don't have this.....PLEASE HELP!!! Do you have WP 8.1 installed on your phone? 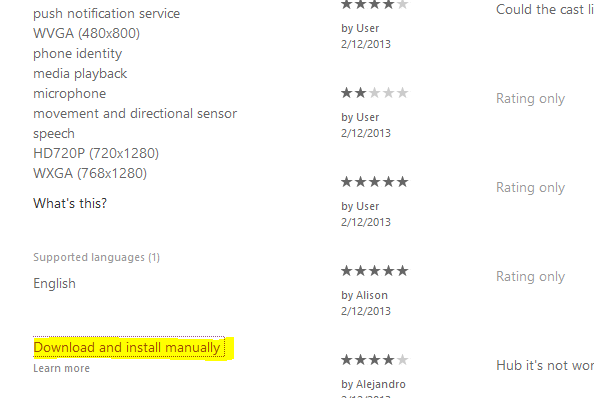 Storage sense is only on WP 8.1. My 720 stuck at spinning gears HELP!! !